Shamanistic plants in general have been of tremendous importance in my life. However at one point I felt like they had taught me what I needed and moved on. I'd mostly say that the benefits are psychological and spiritual. Yet, it's not really that sort of therapeutic help I need right now, since its not a psychological issue. Although lately I've been feeling like I'll like to make a trip to take peyote. However I've thought about really not eating much mushrooms ( non-allucinogenic) and that I should explore more about them. Lions mane mushrooms sound really interesting. Not sure if I'll find them here. I'm grateful for this journey as it has made me grow in many valuable ways. Sometimes it's not easy seeing it this way though. After all, it's usually only under threat that humans grow, sadly. Right now I work as a software developer. So no, maybe it's not helping me heal directly, but right now it gives me the money to get things that can actually heal me. There a very few jobs in Mexico which let you live properly, and right now I still need the stability to repair my nervous system. BTW, last weekend it was a special occasion, so I drank some mezcal. I actually felt pretty good the following days. I'm wondering if it had to do with pyroluria related symptoms or maybe it was the big amount of seafood I downed on the Sunday? I'm still pretty much in the dark. I went to camp with some friends near the mountains. We spent the night waiting for a lunar eclipse. I was happy for an opportunity to camp, and spent the day and night barefoor and withouth cover. Slept little. Next day I returned home, feeling tired but good. However I did some excercise and inmediatly got fever. Spent badly the night, with my usual feverish thoughts which are a mixture of seeing my body as composed of separate entititys which have to be adminstered in a abstract/mathematical way. Since I've been watching the series VIkings lately my body was a large kindgom, and my mind kept rambling in a mathematical way about it. However as soon as I felt feverish I ate my meal with some high meat and hoped for the best. I know a lot of people here reject high meat out of frozen meat, but it's the only king of organic meat I get so I have no choice. 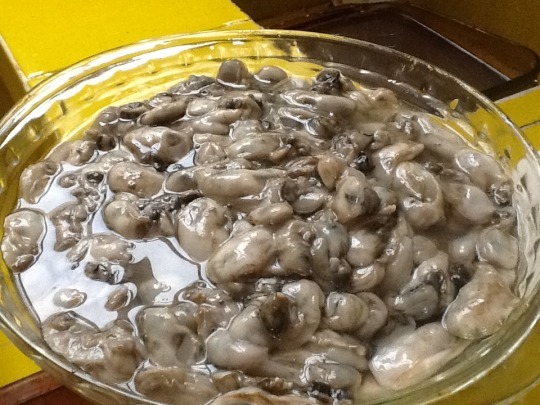 That said, high-liver ( out of frozen liver) is one of the most delicious things ever. It doesn't have a putrid smell, and its really delicious. I don't make as much as I'd like because I tend to forget to air the thing and sometimes it goes to waste. Next day I still felt weak, but was not feverish. Went to get seafood, and rested. Today I feel quite relaxed, and thinking a lot clearer. Not sure what to think about this "detox". 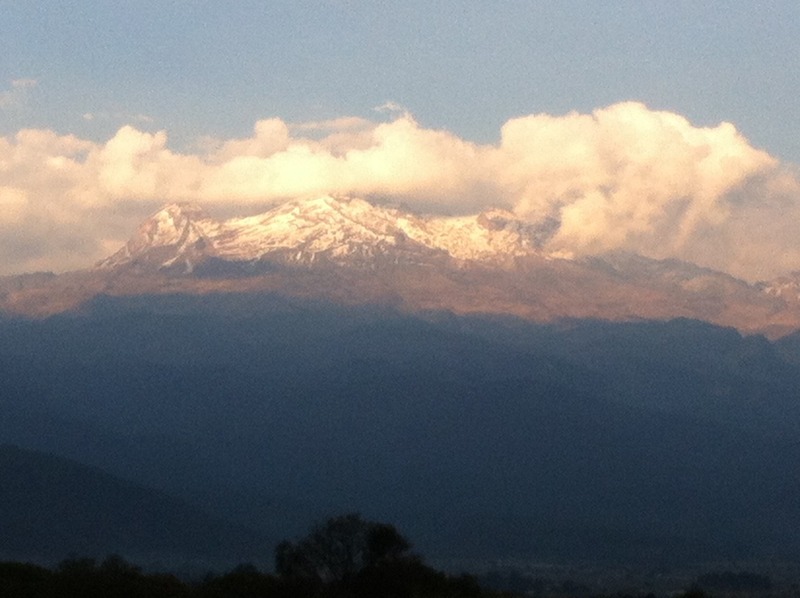 I'm actually a bit troubled since I think I can no longer ignore that the envioroment I live in ( mexico city!) might seriusly be keeping me from healing. I'm not sure how I'll be able to solution this yet. 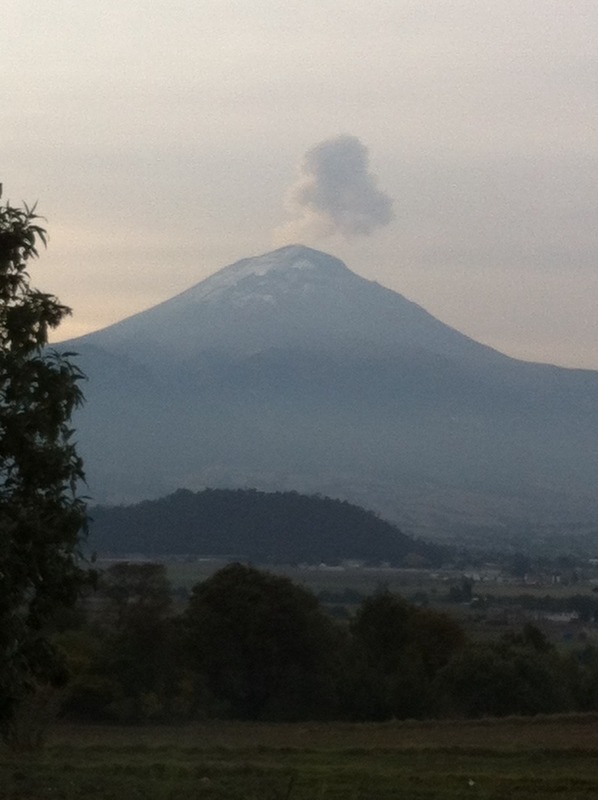 The volcano popocatpetl spewing smoke. 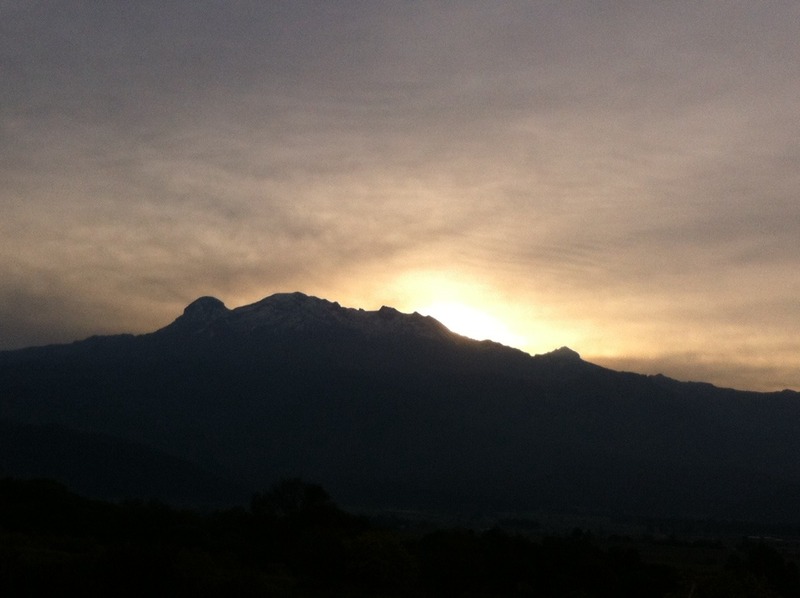 The iztaccihuatl, which means sleeping woman. awesome photos alberto! thank you so much for sharing! sounds like you are at the next level of healing where your environment must now match your personal state of health. would it hurt to start doing some deep inquiring about the next leg of your journey? perhaps to calm your mind try some deep breathing meditations and gentle yoga? you may find the answers you are searching for there. Deep inquiring is being done constantly. Although it doesn't help that in my condition I can barely plan today's activities. So I've been experimenting still and finally I more or less managed to dissipate my brain fog and anxiety for a little while. My experiment consisted in eating as much seafood as I could for a week. 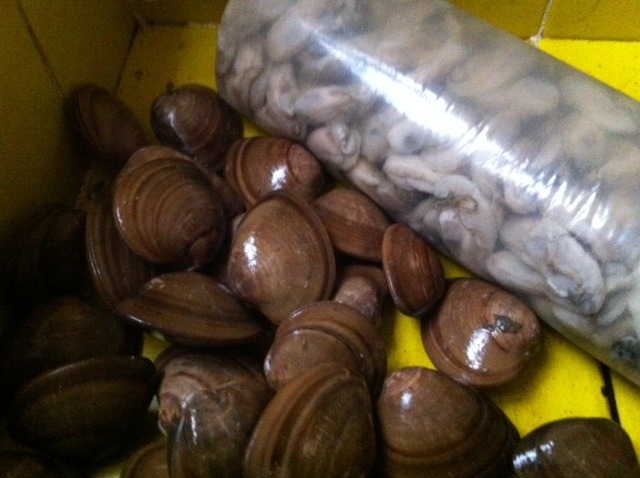 I ate my fill of oysters every day, and added clams and some shrimp. The first day I ate as much as I could. The second day I could barely get out of bed, and even after my brain didn't seem to do better, I just couldn't wake up as If I were coffee addicted and didn't have my morning cup. Added to this I had incredible hunger which eventually was only satisfied by eating my fill of seeds and nuts. This relaxed me, and my mind started to wake up. At night, my brain fog and anxiety dispelled. Next day I was still feeling good, and kept going. Third and posterior days no improvement. I've repeated this experiment and more or less the same thing happens. I'm unable to wake up the next day until I eat seeds and nuts, and then eventually I start feeling better. So I guess I'm pretty sure I have pyroluria now. Since its the mix of high zinc foods with high b6 foods thats trigged relief in my symptoms. I did experience benefits from taking zinc sups, but I don't think I got any from the b6 supps because I can only get the pyridoxine hydrochlorine, which only made me pee highlighter ink. I just asked friends who are traveling the states for zinc picolinate and p5p so I can start experimenting. I don't think theres a single physician in Mexico which could help me with it, so I'll have to keep experimenting and hope I can make things better soon. Zinc supplementation definitely helping. But b6 pyrydoxine began giving trouble, without much signs of benefits. Problems like insomnia, decreased mental activity and physical recovery. I'm far from fixing my problems still. But I can't complain, except for my meat sources. My provider has repeatedly failed to deliver me quality fat. I'm not sure I have enough time to search for new sources.